When Gabby Wicks and her two sons arrived at the home she had been working on through Habitat for Humanity of Greater Baton Rouge at 3:30 p.m. on Jan. 15, she thought she was attending a dedication ceremony. 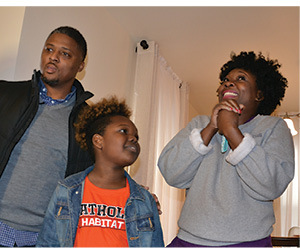 Instead, the family was greeted by a swarm of people representing Habitat for Humanity; Warrick Dunn Charities’ Home for the Holidays; Aaron’s; and Catholic High School in Baton Rouge. 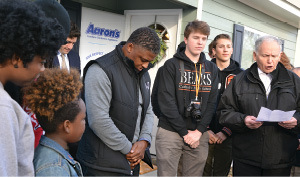 Warrick Dunn, a 1993 alumnus of CHS and former NFL running back, founded “Home for the Holidays” 21 years ago in memory of his mother, a Baton Rouge police officer who was killed in the line of duty. 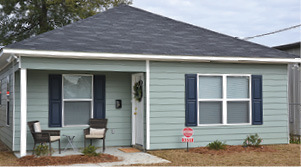 This is the third home that CHS has built with Habitat for Humanity, with the student body providing the funds for the initial costs then helping with the construction itself. 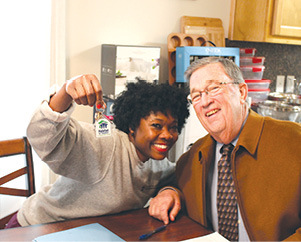 Gabby Wicks holds up the keys to her new home after signing the closing documents with George Pierson, closing attorney for Habitat for Humanity of Greater Baton Rouge. After Wicks was presented a $5,000 check from Warrick Dunn Charities for her down payment, Brother Ray Hebert of CHS blessed the house. 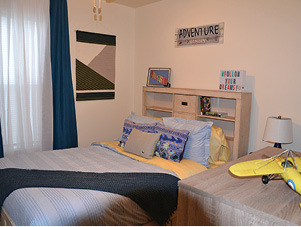 Then the family was able to tour their new 3 bedroom, 1 ½ bath home that was completely furnished and stocked with food; cleaning supplies; linens; kitchen utensils and dinnerware; and, a new computer and office supplies. 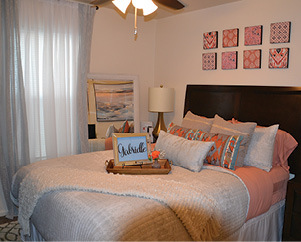 Wicks, who has worked as a medical assistant at Our Lady of the Lake Regional Medical Center in Baton Rouge for the past the two years, said she and her family lived on a busy street in Plaquemine and she has wanted to own her own home for a very long time. She worked alongside students, faculty and staff of Catholic High raising the walls of her future home; putting on siding; decking the roof; painting; and, landscaping the home. 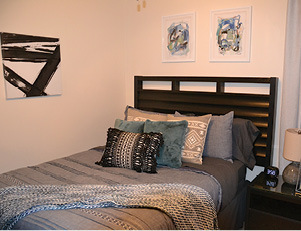 The 3 bedroom, 1 ½ bath house was completely furnished and ready for the family to move in. 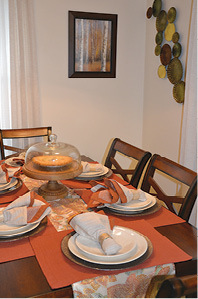 Pictured are scenes from the bedrooms, dining area and living room.